Kyrie Irving recorded a season-high 39 points and also had seven rebounds and six assists to help the Boston Celtics rally to a 116-109 overtime victory over the host Phoenix Suns on Thursday night. Brown's 3-pointer gave Boston a 112-109 lead with 2:05 left in overtime and Morris added a layup 26 seconds later. Jayson Tatum added two free throws with nine seconds left to close it out. 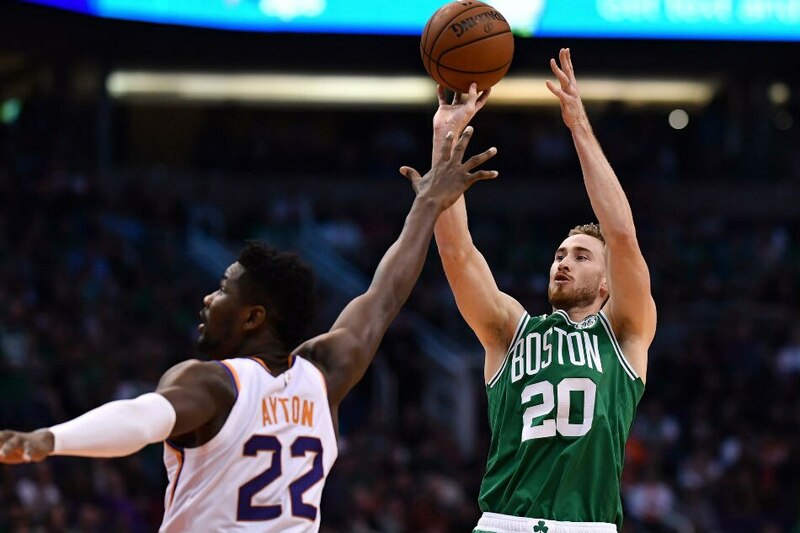 The Celtics trailed by 14 with 3:45 remaining in regulation before Irving (five) and Brown (four) scored all the points during a 9-0 surge to cut the Suns' lead to 94-89 with 2:05 remaining. Boston kept on the pressure and moved within 98-95 on Irving's 3-pointer with 35.9 seconds left and Brown's basket with 7.3 seconds left moved the Celtics within one. Warren connected on two free throws with 6.1 seconds remaining to give Phoenix a 100-97 edge. Morris drained a 3-pointer with 1.1 seconds remaining to knot the score. It was Boston's six trey of the quarter. The Celtics shot a meager 21.7 percent from the field in the half - 10-for-46 -- and committed 10 turnovers. Irving was the only Boston starter to score in the first half and he was just 3-of-10 shooting while scoring 13 points. The other four starters -- Brown, Gordon Hayward, Al Horford and Tatum -- missed all 15 of their shots. Booker's 17-footer with 0.5 seconds left gave the Suns a 32-13 edge in a stanza in which the Celtics went 4-of-22 from the field. Phoenix stretched its lead to 48-26 on Booker's 3-pointer with 4:31 to play in the half.